Over the weekend, Verizon dropped the price of the Motorola DROID RAZR HD and MAXX HD by $50. Rather than having to fork out the standard $299 for the MAXX HD, you can now step into one for $249. If ultimate battery performance isn’t your cup of tea, then think about the regular RAZR HD which is now listed at $149. 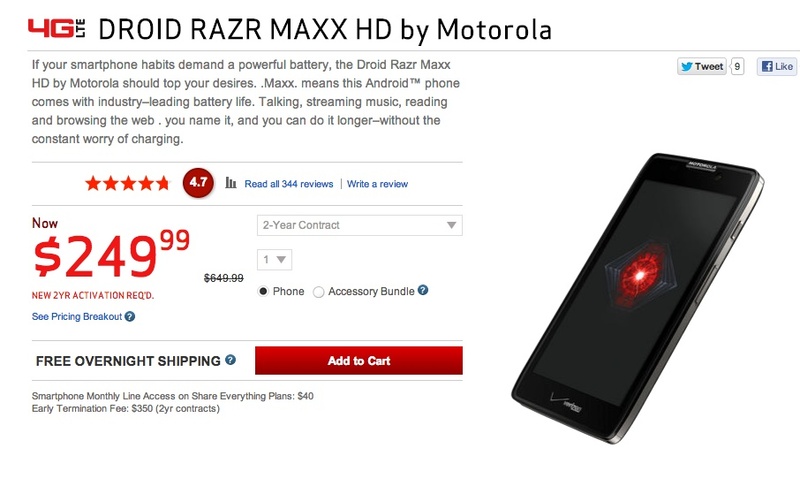 But don’t forget that Amazon is selling the RAZR MAXX HD for $149 with an upgrade or $99 on a new contract. Options are good, my friends. Our review of the RAZR HD and RAZR MAXX HD can be found here.